listed on the website. I like Backdraft Smiths' music the best. I don't think you grasp how anime movies are actually released. Since the movie is only released in Japan and Taiwan, this post won't affect everyone. Most people will end up torrenting the fansub anyways. The movie is a rehash of the lead up to Takumi vs Keisuke. The movie ended after Takumi beats Keisuke. Since the movie was only about 40 minutes (not sure) long, there were bonus "Road to D" behind the scene material shown for about 20 minutes. Great car sound, plot arrangement, and voice acting. It felt like watching part of first stage for the first time again, which was pretty exciting. The same humor in the dialogues hits me like nostalgia. Very detailed cars show much effort was put into production. There were many parts of the plot shortened for movie length, but shows an interesting alternative way of moving the plot forward. Though the producers weren't total petroheads, they studied the behaviors of each car used in the movie by discussing with D1GP drifters, understanding how drifting works (though most dialogues were done by Shigeno himself). It was definitely nice to see Initial D finally in real HD (though the behind the scene was filmed with cheap cameras making it look laggy on big screens). Most people would complain about the VA being different, I had no problems with it and enjoyed the movie as is. Too short. I felt cheated of $10usd seeing the movie (or should I say OVA). I would have expected it to cover the entire first stage to be a full length movie. Sadly, the trilogy is going to be Nakazato as second movie, and Ryosuke as third movie. Tsuchiya Keiichi did not contribute to the movie, which is kinda disappointing since he overseer the original series. The original scores created for the movie sounded great, but the J-Rock just seem a bit out of place most of the time and a bit overplayed. Overall, the movie was enjoyable. I think any Initial D fan should go see it and judge for themselves. It was kinda sad to see that Japan gave Taiwan a chance to show such a niche movie. However, since Taiwan is a small market, there were only 12 people that showed up to watch the movie today. I overheard some of the few people today that also felt the movie was too short and that they will wait for second movie to come out on torrents to watch. I'm guessing the movie fell flat on itself for being too stingy in giving the fans what they hope to see. I'm interested to see how the Japanese fans react. Guess ill have some work to do lol. I'm surprised its only the keisuke race, but I'm not surprised that it would only be 40 minutes. Sure theres the build up and but the race shouldn't be any more than 20 minutes or what would be a full episode race. Any longer and it would've just been drawn out. Raws for the movie are out in 720p. lolz just finished watching it thru. I enjoyed it, tho they did cut some minor corners and cut down on some of the inner monologues but it still stayed true to the original story. For packing what was five episodes in to an hour id say they did a pretty good job. Animation is a definite plus and audio for all the cars sounded amazing. The race felt short, probably because there was less talking. I don't know if I'm looking forward to IDLegend 2 just because i feel like 40 minutes of the movie is just going to be blabber of "Why do i need to race?do i want to race? do i like racing?" I expected the story to be more butchered but it really wasn't. Visually it's great looks really fresh although even if I should have expected it... those 90 degree drifts... they just go against my logic of speed so hard lol sometimes I wish I didn't know that much about driving so I wouldn't have to nitpick haha. The video will probably be taken down off of youtube after an arrangement of algorithms catches it sometime soon, but the video is unlisted meaning only viewers who have the link will have access to it. And lets face it, its an anime, thousands of people have already downloaded it and it will be available for streaming on the hundreds of illegal stream sites that 50% of the whole western anime community actually support. As Mugen would say, "I SEENT DAT"
Watching the movie now, haven't yet. I do hope it attracts more people to the series. Being a huge Initial D fan though, I have to say Takumi's demeanor at the beginning is way more outgoing than the series, I kinda liked the whole quiet shy guy who became legend, made it seem more awesome when stuff started to happen. If you ever go there again take pictures we wanna see it! Also are the physics closer kind of like Ver.5 where you HAVE to brake for corners or is it full speed driftmania? Depends on the course really, on Akina for example you shift to fifth and just keep it there for nearly the whole time. Others like Nago are much more technical and require more braking and shifting. The general technique to get top times though is brake, gas on and off while still holding brake, let go of both and then floor it on the exit of a corner. The physics are really different though if you car is not at least tuning spec 5. You can just go through courses without ever needing to brake because you are so slow. 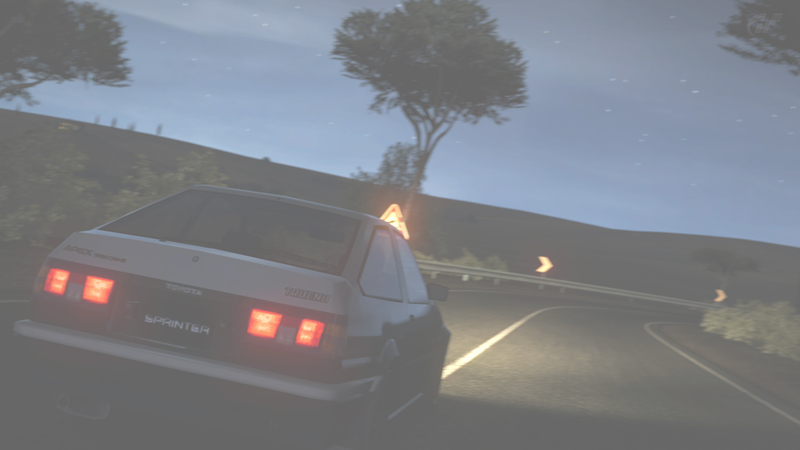 Initial d legend 2 trailer is out.